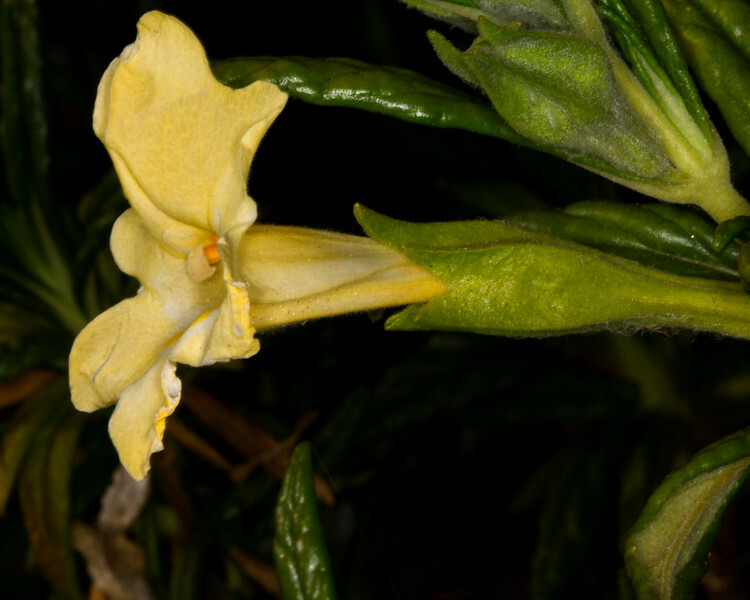 Southern Monkey Flower (Diplacus longiflorus) populates a bush hanging on a steep slope of decomposing granite in the San Jacinto Mountains, near the Silent Valley RV Resort. March 5, 2012. This view is from the side showing the trumpet shape of the flower. Hummingbirds feed on this plant.